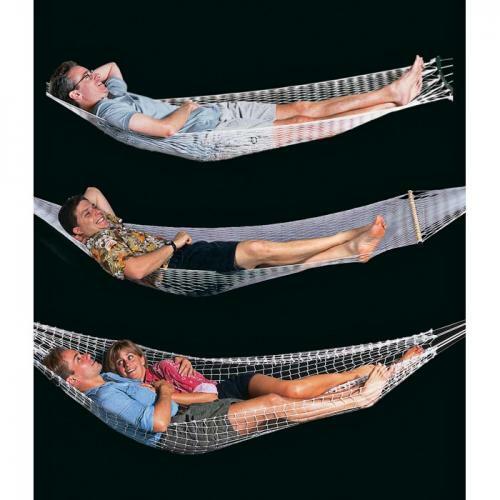 The Compact hammock features permanent 21" hardwood spreader bars and only weighs 1 pound. The Double hammock is large enough to fit 2 adults and does not have spreader bars. Both portable and durable for camping, in the backyard or for any outing. "I love the product I bought. Shipping progress emails gave me confidence that I was dealing with a decent company."